ARM ARM Holdings is the world's leading semiconductor intellectual property (IP) supplier and as such is at the heart of the development of digital electronic products. Applied Materials Applied Materials is the global leader in providing manufacturing solutions for the semiconductor, flat panel display and solar photovoltaic industries. Our technologies help make innovations like smartphones, flat screen TVs and solar panels more affordable and accessible to consumers and businesses around the world. Taiwan Semiconductor Manufacturing Company (TSMC) TSMC is the world's largest and most successful dedicated independent semiconductor foundry located in the Hsin-Chu Science-Based Industrial Park, Taiwan. TSMC is committed to leading the dedicated semiconductor foundry business into a new generation of Process technology, manufacturing excellence, delivery, and customer service. Being the largest and most successful dedicated IC foundry in the world, we put more resources into our manufacturing facilities and capacity than nearly anyone else. ASE Group The ASE Group is the world's largest provider of independent semiconductor manufacturing services in assembly and test. Alston & Bird LLP Alston & Bird is a leading international law firm whose core practice areas are intellectual property, complex litigation, corporate and tax, with focuses that include financial services and health care. The firm has been ranked on Fortune magazine’s “100 Best Companies to Work For” list for 17 consecutive years. Cadence Cadence is a company that provides the expertise and tools, IP, and hardware required for the entire electronics design chain, from chip design to chip packaging to boards and to systems. They enable electronic systems and semiconductor companies to create innovative products that transform the way people live, work, and play. Their products are used in mobile, consumer, cloud datacenter, automotive, aerospace, IoT, industrial and other market segments. IC Park Zhongguancun IC Design Park (IC PARK), as a national integrated circuit design industry park, provide new cluster development space for IC design,R&D and application, which promotes the strategic fundamental role of China IC industry to a higher position, and boosts Beijing IC industry development. IC PARK, in the southern part of Zhongguancun No.1 zone that is the core area of Yongfeng industry base in northern Haidian, covers land of 5.98 hectares with total floor space of 220 thousand square meters. IC PARK’s plot ratio is 2.5, building coverage ratio is 40% and greening rate is 25%. IC PARK also build nice service platform including finance, human resouse, generic techbology, living support, marketing,innovative incubation,enterprise public,oversea connection and expert mentor service, to make IC ecosystems perfect. IC PARK faces to all worldwide IC enterprise, providing office space for whole growth stage, and promoting enterprise to globalization, which playing further important, supporting and pillar role of High-grade, Precision and Advanced industry in the capital economy and social development, meanwhile becoming the new engine that drives the capital high level industry development. Rambus Invention is the heart of Rambus. From inventing the seeds of new technologies to fully developing products, Rambus is a collaborative, entrepreneurial company that helps its customers succeed. We are futuristic technologists who bring invention to market from licensing, to the creation of products and services. SiFive SiFive was founded by the creators of the free and open RISC-V architecture as a reaction to the end of conventional transistor scaling and escalating chip design costs. TechCode Accelerator US TechCode is building the world’s leading entrepreneurship ecosystem by providing Incubation, Acceleration, Venture Funding, and Strategic Consulting to companies. By integrating a wide range of global resources, the TechCode Accelerator program supports startups with the intellectual capital they need to commercialize their technologies. TechCode launched its first AI Accelerator at its Silicon Valley office in June 2016. The AI+ Accelerator, focused on artificial intelligence and hardware, will launch October 2016. Tongfu Microelectronics TongFu Microelectronic Co.,Ltd is Chinese Top3 outsourcing of semiconductor manufacturing services in assembling and testing. Founded in 1997, listed on Shenzhen Stock Exchange in 2007, now TFME is strategic manufacturing partner for over 600 customers, with 5-site operational base worldwide and 11000 employee. TFME provides a comprehensive portfolio of packaging solutions ranging from discrete, leadframe and laminate packages to the most advanced flip chip and wafer level technology, as well as wafer probing and final test. Xilinx Xilinx is the inventor of the FPGA, programmable SoCs, and now, the ACAP. Our highly-flexible programmable silicon, enabled by a suite of advanced software and tools, drives rapid innovation across a wide span of industries and technologies - from consumer to cars to the cloud. Xilinx delivers the most dynamic processing technology in the industry, enabling rapid innovation with its adaptable, intelligent computing. Achronix Achronix Semiconductor Corporation is a privately held, fabless semiconductor corporation based in Santa Clara, California and offers high-performance FPGA and embedded FPGA (eFPGA) solutions. Achronix’s history is one of pushing the boundaries in the high-performance FPGA market. Achronix offerings include programmable FPGA fabrics, discrete high-performance and high-density FPGAs with hardwired system-level blocks, datacenter and HPC hardware accelerator boards, and best-in-class EDA software supporting all Achronix products. Ansys Founded in 1970, ANSYS employs nearly 3,000 professionals, many of whom are expert M.S. and Ph.D.-level engineers in finite element analysis, computational fluid dynamics, electronics, semiconductors, embedded software and design optimization. Our exceptional staff is passionate about pushing the limits of world-class simulation technology so our customers can turn their design concepts into successful, innovative products faster and at lower cost. As a measure of our success in attaining these goals, ANSYS has been recognized as one of the world's most innovative companies by prestigious publications such as Bloomberg Businessweek and FORTUNE magazines. Broadcom Broadcom Inc. is a leading designer, developer and global supplier of a broad range of digital and analog semiconductor connectivity solutions that serve the wired infrastructure, wireless communications, enterprise storage and industrial markets. CEC Capital Management LLC CEC Capital Management, formerly Shanghai Hua Hong International, is a venture capital management firm from China with presence in the Silicon Valley. Backed by CEC (China Electronics Corporation), an IT conglomerate in China, CEC Capital expands its focus from semiconductor to TMT and carries on the mission to bridge the Silicon Valley to China's IT industry. Gloria semi “GLORIA semicon” of Taiwan Ministry of Science & Technology is a platform that promotes high value-added and cross-field innovative products and services, and also dedicates in exploring and expanding the opportunities for members’ pioneering designs to connect with Taiwan industry and academy resources . MediaTek Inc. MediaTek Inc. is a leading fabless semiconductor company for wireless communications and digital multimedia solutions. The company is a market leader and pioneer in cutting-edge SOC system solutions for wireless communications, high-definition TV, optical storage, DVD and Blu-ray products. MooreElite 摩尔精英 MooreElite is a leading IC design accelerator, providing IC design service, supply chain management, talent service and incubation service for over 1500 fabless and 500,000 engineers. Our vision is “Make IC Design Easy & Efficient”. MooreElite strives to provide ASIC design and Turnkey solutions, from Spec/FPGA/Algorithm to chip delivery. Our services include but are not limited to: chip architecture planning, IP Selection, digital frontend design, DFT, digital verification, physical design, layout, tape-out, assembly and testing services. Our team has been serving customers with knowledge of how to get the most out of silicon since 2012, offering maximum flexibility with Turnkey, NRE, consulting and on-site support services. Headquartered in Shanghai with 200 engineers, MooreElite also has offices in Beijing, Shenzhen, Hefei, Chongqing, Suzhou, Guangzhou, Chengdu, Xi’an, Nanjing, Xiamen, Hsinchu and San Jose. SILVACO SILVACO, Inc., a Delaware corporation headquartered in Santa Clara, California, is the leading supplier of Technology Computer Aided Design (TCAD) software, and a major supplier of Electronic Design Automation (EDA) software for circuit simulation and design of analog, mixed-signal and RF integrated circuits. SMIC Semiconductor Manufacturing International Corporation (“SMIC”；NYSE: SMI; SEHK: 981), one of the leading foundries in the world, is Mainland China’s largest foundry in scale, broadest in technology coverage, and most comprehensive in semiconductor manufacturing services. SMIC provides integrated circuit (IC) foundry and technology services on process nodes from 0.35 micron to 28 nanometer. Headquartered in Shanghai, China, SMIC has an international manufacturing and service base. In China, SMIC has a 300mm wafer fabrication facility (fab) and a 200mm fab in Shanghai; a 300mm fab and a majority-owned 300mm fab for advanced nodes in Beijing; 200mm fabs in Tianjin and Shenzhen; and a majority-owned joint-venture 300mm bumping facility in Jiangyin; additionally, in Italy SMIC has a majority-owned 200mm fab. SMIC also has marketing and customer service offices in the U.S., Europe, Japan, and Taiwan, and a representative office in Hong Kong. For more information, please visit www.smics.com. Shanghai Huali Microelectronics Corporation（上海华力微电子公司） Shanghai Huali Microelectronics Corporation (“HLMC”) is the first 300mm full-automatic integrated circuit (IC) foundry production line in mainland China. HLMC’s process technology ability covers 55-40-28nm nodes, with maximum full capacity of 35,000 wafers per month. Adopting the foundry model, HLMC provides logic and flash foundry services for fabless companies, IDM companies and other system companies. HLMC is located at Zhangjiang Hi-tech Park in Shanghai China, with offices in the areas of Taiwan, Japan, North America and other places, to provide sales and technical support. Smart Electronics Industry Project Promotion Office (SIPO) Smart Electronics Industry Project Promotion Office (SIPO) is responsible for helping the IC industries toward the development of new, rising application areas of of IoT, AI and MG+4C (Medical, green, car, computer, communication and consumer). Taiflex Scientific Co., LTD. TAIFLEX Scientific Co., Ltd focuses on the research and development of green energy products, and strives to protect our environment. Our company core value is built on safety, quality, speed, and service. Taiflex is a listed company that has international certifications including ISO 9001, ISO 14001, ISO/TS16949, TOSHMS, OHSAS 18001, IECQ HSPM, UL, and TUV. Taiflex is a major supplier of flexible copper clad laminate material and PV module backsheet with the advantage of our coating and lamination technology. Taiflex’s Fexible Copper Clad Laminate material is accounted for 20% of the global market share, and also domonated the FCCL material market in the Greater China Region. In 2013 and 2014, two in every ten PV module backsheets used in solar cell modules internationally are manifactured by Taiflex. 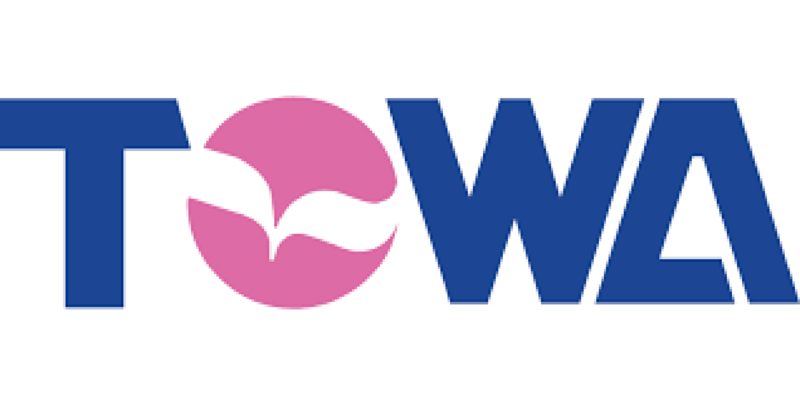 Towa USA World-Leading Provider of Semiconductor Packaging Solutions Smaller, thinner, higher density… Semiconductors, already necessities of contemporary society, continue to evolve at light speed toward the IoT (Internet of Things) society. In the field of semiconductors, where technological innovations are always in demand, we at TOWA Corporation have been working with our customers as their technical partner by developing cutting-edge technologies based on our world-leading technologies for ultra-precision molds. Moving forward, we will continue to work in “the next generation” as a field for creating a new future by operating a “quarter-lead” ahead of customer needs. UMC UMC is best known for its merchant foundry business, manufacturing integrated circuits wafers for fabless semiconductor companies. Air China Air China is China's sole flag carrier and a member of the world’s largest airline alliance, Star Alliance. It was previously the official airline partner for the Beijing 2008 Olympic and Paralympic Games, and has been selected as an official partner for the Beijing 2022 Olympic and Paralympic Winter Games. Air China is China's largest airline by brand value (estimated at around RMB 145 billion in June 2018, according to World Brand Lab) and is a market leader in air passenger transportation, air cargo and other aviation services. CNEXLABS CNEX is a privately held start-up company founded in 2013 by semiconductor industry veterans in Silicon Valley, and funded by venture capital and strategic investments from Fortune 500 companies in storage and networking. CNEX is chartered to deliver innovative system solutions in the form of semiconductors and software. For its first product, CNEX teamed with NAND Flash manufacturers and customers to develop a revolutionary new NVMe PCIe SSD controller ASIC that supports LightNVM/Open-Channel operation, and includes native NVMoE I/O connectivity. CNEX SSD controllers deliver high-performance with low and predictable latency, and provide flexibility for software-defined-storage with host-based FTL, and Ethernet I/O for storage fabric scalability. Chengdu Silicon Power Technology Ltd Silicon Power Tech is a Sino-foreign joint venture located in Chengdu, Sichuan Province, China. It is the first incubator in China dedicated to serving startups in the power semiconductor industry. Silicon Power Tech not only provides complimentary office space and government grants but is also a comprehensive platform combining office space, management support, technology R&D support and fundraising. Silicon Power Tech works with many well-known semiconductor companies; design tools; foundry services; hardware prototyping and testing; lab equipment; system integration and validation; talent recruitment; management guidance; supply chain cooperation; marketing and sales; financing; and accounting services for start-ups. This comprehensive platform reduces capital pressure on start-ups and helps accelerate the launch of products to the market. Silicon Power Tech provides a superior working environment and broad services to semiconductor start-ups. Our Vision Our vision is to become the most important power semiconductor R&D center and incubator in China. We will select and train the highest potential power semiconductor talent, and become the first choice of power semiconductor start-ups. 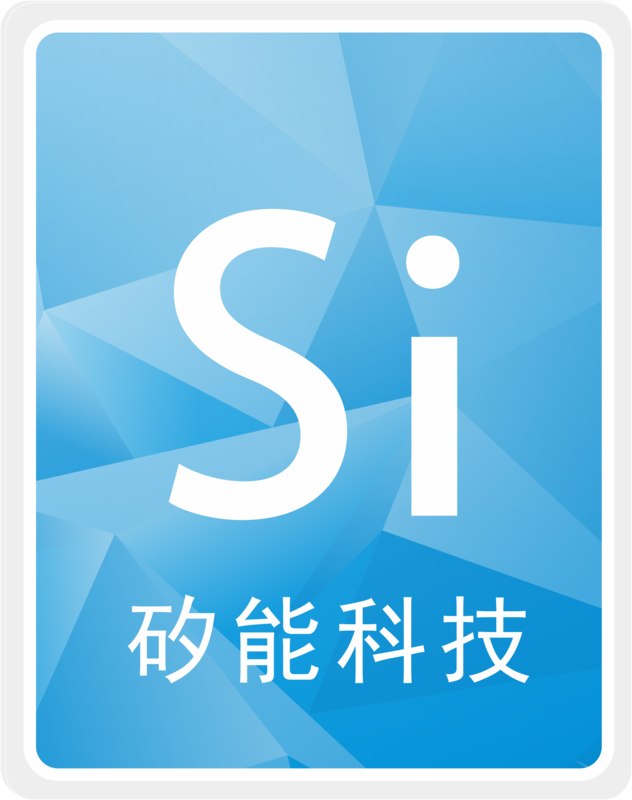 Silicon Power Tech focuses on power semiconductor startup projects, including power devices such as IGBT, MOSFETs, SiC, GaN, and PMIC,power modules , power-related system products,material of epitaxial growth and substrate, and new assembly material. 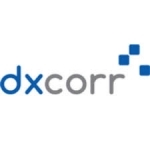 DXCorr Design Inc DXCorr provides the industry's leading edge physical IP solutions, available in 40nm, 28nm and 16/14nm process nodes, for a wide range of SoC designs used across a broad spectrum of performance oriented power optimized applications. The advanced Physical IP portfolio offers a comprehensive set of IPs covering Foundation IP blocks such as SRAMs, standard cells and I/Os for most of the building blocks of SoC design, specialized physical IPs -TCAMs, multiport register files, customizable datapath – that helps our customers build highly differentiated products for low power or high performance applications and custom PDK and PCELL development for Mixed Signal IC design. Faraday Technology Faraday Technology Corporation is a leading fabless ASIC and silicon IP (intellectual property) provider. Established in 1993 as the first Asian ASIC vendor, Faraday is one of the few leading ASIC vendors with a comprehensive self-developed IP portfolio. 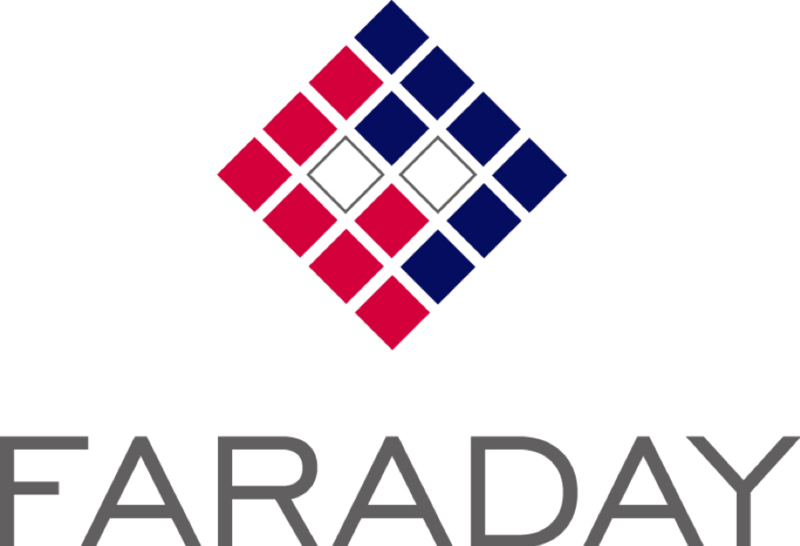 Faraday has been acknowledged for expertise and capabilities resulting in thousands of successful designs over a wide range of applications including consumer electronics, multimedia, display technology, communications, networking, and peripheral storage. Faraday ships hundreds of millions of ASIC chips worldwide on an annual basis. Global Unichip Corp. GLOBAL UNICHIP CORP. (GUC) is the Flexible ASIC LeaderTM who provides the semiconductor industry with leading IC implementation and SoC manufacturing services. Based in Hsinchu, Taiwan, GUC has developed a global reputation with a presence in China, Europe, Japan, Korea, and North America. IPV Capital IPV Capital is a China based venture capital firm dedicated to delivering exceptional investment performance by backing high growth technology firms. ITRI Industrial Technology Research Institute (ITRI) is a nonprofit R&D organization engaging in applied research and technical services, aiming to innovate a better future. Founded in 1973, ITRI has been dedicated to helping industries stay competitive and sustainable. Icscape ICScape is a technology leader, delivering fast and true physically-aware, design closure and optimization solutions for timing, clock and power of SOCs. Into Benefits We’re Your Trusted Source. At IntoBenefits, Inc, we do more than place your insurance coverage—we’re committed to providing you with the best services and resources to support your business. We have a suite of solutions to provide additional value for our clients: From compliance to communication, let us provide a full spectrum of solutions for you and your company. We understand the challenges today’s employers face and know you’re asked to take on more than ever. Expect more from a broker- expect our full spectrum of solutions. Get all services plus the guidance to navigate the complexities of insurance from a partner you can trust. Jade Hsiung PhD, Investment Advisor At World Financial Group (WFG), your goals and dreams matter to us. We understand that financial challenges can make it harder to achieve your goals, but we can provide the assistance you need to reach them. We believe your financial success, no matter your current situation or economic status, is achievable. We will walk alongside you in your journey to financial success, helping you assess your situation, understand how money works, and find the products and services that can best fit your needs. Nautilus Venture Partners We invest in early stage companies with unique technology, strong team, and market potential. Our focus area includes artificial intelligence, IoT, and mobile. Qorvo Qorvo ("kor-vo") enables customers to launch next-generation designs even faster. Our unique combination of talent, technology, scalability and innovation helps you eliminate barriers to bringing your most powerful ideas to market. Quartet Mechanics With more than 200 man-years of experience in semiconductor, LED, MEMS, photovoltaics (PV) solar and medical/lab automation systems, we bring the most intelligent components, sub-systems, equipment and total solution to meet your unique clean-room robotics and automation requirements. SITRI Shanghai Industrial μTechnology Research Institute (SITRI) is a new kind of international innovation center, focused on globally accelerating the innovation and commercialization of “More than Moore” (MtM) technologies to power the Internet of Things (IoT). eTopus eTopus is an innovator and technology leader of high performance, mixed-signal, ultra-high speed semiconductor interconnect solutions. eTopus designs ultra-high speed mixed-signal semiconductor solutions for high-performance computing and data center applications. Our ultra-high speed SerDes is adopted by global major players to be used in storage, enterprise, and hyperscale data center applications. Our solution is also applicable to the fast-growing 5G and AI applications as well. eTopus was among the first to provide standalone SerDes interconnect solution with a monolithic, highly programmable SerDes for the emerging PAM4 standards. Our innovations in ADC/DSP-based physical layer transceiver technology deliver superior performance for Long Reach (high insertion loss channel) at low power consumption for next-generation converged Ethernet deployments. eTopus is a VC-backed startup headquartered in Sunnyvale, California where all innovations and advanced architectures are developed. We have multiple locations in Hong Kong and Taiwan for design and customer support. Our investors include SK Telecom, HK-X, corporate VCs and cross-border funds. 南港IC設計育成中心 In order to actively enhance the added value of Taiwan's semiconductor-related industries, Nankang IC Design Incubation Center (NKIC) was established in October, 2003 by the MOEA IDB under the National “Project Challenge 2008” in order to actively enhance the added value of Taiwan's semiconductor-related industries.